A team of researchers led by NOAA’s Office of National Marine Sanctuaries have discovered two significant vessels from World War II’s Battle of the Atlantic. The German U-boat 576 and the freighter Bluefields were found approximately 30 miles off the coast of North Carolina. Lost for more than 70 years, the discovery of the two vessels, in an area known as the Graveyard of the Atlantic, is a rare window into a historic military battle and the underwater battlefield landscape of WWII. On July 15, 1942, Convoy KS-520, a group of 19 merchant ships escorted by the U.S. Navy and Coast Guard, was en route to Key West, Florida, from Norfolk, Virginia, to deliver cargo to aid the war effort when it was attacked off Cape Hatteras. The U-576 sank the Nicaraguan flagged freighter Bluefields and severely damaged two other ships. In response, U.S. Navy Kingfisher aircraft, which provided the convoy’s air cover, bombed U-576 while the merchant ship Unicoi attacked it with its deck gun. Bluefields and U-576 were lost within minutes and now rest on the seabed less than 240 yards apart. The discovery of U-576 and Bluefields is a result of a 2008 partnership between NOAA and the Bureau of Ocean Energy Management (BOEM) to survey and document vessels lost during WWII off the North Carolina coast. Earlier this year, in coordination with Monitor National Marine Sanctuary, NOAA Ship Okeanos Explorer conducted an initial survey based on archival research. In August, archaeologists aboard NOAA research vessel SRVX Sand Tiger located and confirmed the ships’ identities. “This discovery highlights the importance of federal agencies working together to identify and protect these unique submerged archaeological resources that are of local and international importance,” said William Hoffman, a BOEM archaeologist. The newly identified wrecks are protected under international law. Although Bluefields did not suffer any casualties during the sinking, the wreck site is a war grave for the crew of U-576. 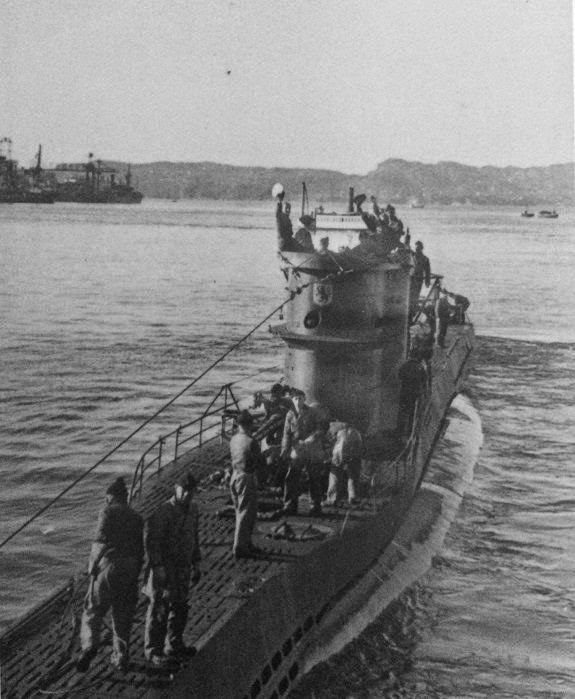 United States policy on sunken state vessels, such as these, reaffirms sovereign government ownership of the wrecks, including German ownership of U-576. As stated in the 2001 Presidential Statement on United States Policy for the Protection of Sunken State Craft the wrecks are not considered abandoned nor does passage of time change their ownership. Those who would engage in unauthorized activities directed at sunken State craft are advised that disturbance or recovery of such craft should not occur without the express permission of the sovereign government retaining ownership. NOAA said in s statement that the United States will use its authority to protect and preserve sunken State craft of the United States and other nations.